Traditionally on these hot Summer days I cocoon myself indoors and work on textile art pieces. 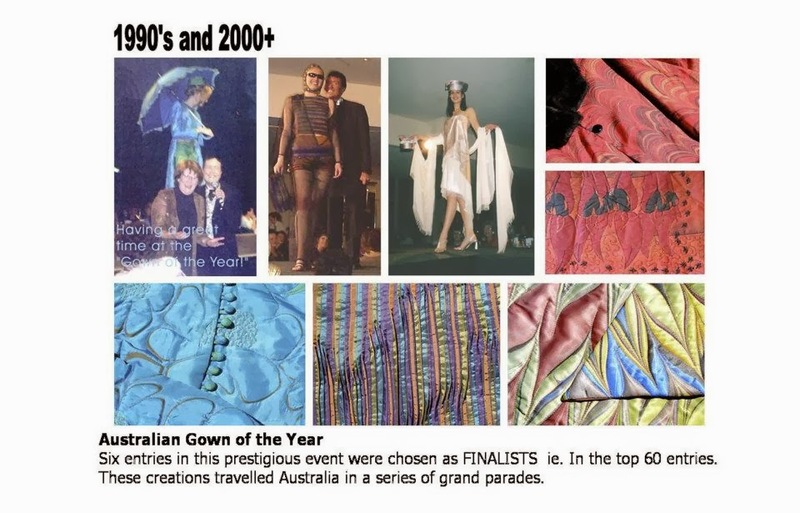 Back in the 90s it was pieces for the "GOWN OF THE YEAR". These days it is the FIBRESPACE group which gets the creative juices going. With so much to concentrate on the days pass very quickly. One idea leads to another and before I know it I have the year's pieces done and dusted. This is the first of the pieces for #WHATEVER! the title being #status quo #vintage. It was inspired when I looked through some vintage magazines that we found in the shed at the shacks. 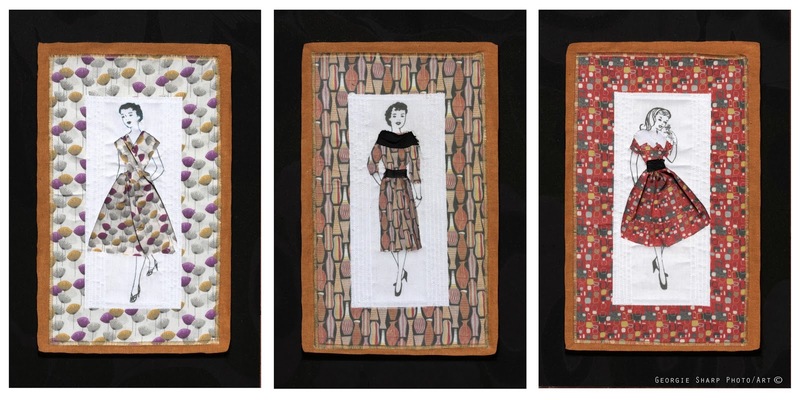 The fashion pages brought back memories from my childhood and the days when I would design my own paper doll fashions. This time I researched some 50s fabric designs and using photographs set out the design using PhotoShop. I then printed the result on to white cotton using my Epson R2880 printer which produces a washable result. An additional print of the 50s designs in a slightly smaller format was used to create the 3D dresses. Some stitching using a quilting wadding adds to the 3D effect.